Mamalila babywearing jackets make it much easier to carry your baby while keeping you both warm. 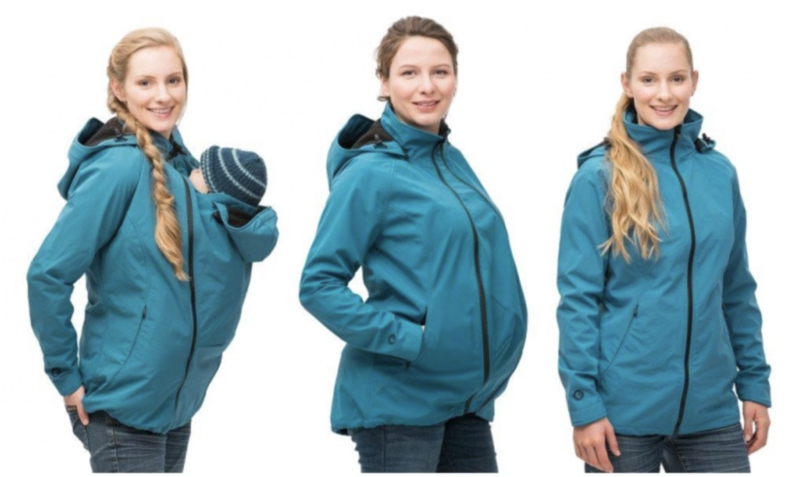 Their jackets can change into one of three roles: for wearing during pregnancy, for babywearing or as a normal jacket. Mamalila’s motivation: Like many other mums, we discovered through our experience with our own children how wonderful carrying children can be for both mother and child. It makes everyday life much easier. mamalila is made for all babywearing parents for whom it is important to be out in the open air and for all mums who want to look smart while babywearing. Furthermore, for all its flexibility, when it comes to design, we make no compromises: no-one will realize your jacket’s hidden capabilities! We want to offer you babywearing jackets which you look forward to wearing because they are attractive and comfortable, trendy but timeless. Our own experience with children, as well as our customer feedback, helps us to design and develop the best models. Our aim is to make babywearing easier and more attractive for you. It’s also important to us that we offer you sustainable products suitable for wearing during different phases of life. At the same time, we use many natural fabrics and we try to ensure that the garment you are going to wear is free from harmful substances and was produced in an environmentally friendly way. Find out more about the Mamalila Soft Shell Jacket For two here. To be in with a chance of winning this fantastic jacket simply fill in your name and email address below then Like and Follow Mama Style on Facebook & Twitter and share the competition post.